The basic material that we use for the production of the entire range is carefully sourced from the trusted vendors. Moreover, we strictly check the materials against all quality grounds before procurement. 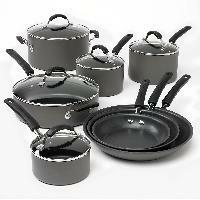 Purchasers can get in touch with us all year round for acquiring superior-grade hard anodised cookware at competitive prices. Heavy Aluminium alloy makes it tougher & sturdy, Coated with 2 coat wet on wet non stick, Aluminium grit blasted for better adhesion, Attractive high temperature resistant outer coating, Low oil consumption & it saves fuel, Easy to clean and maintain, Spiral grooving for even heat distribution. Unique designs and state of the art manufacturing techniques make our products characteristically incomparable and distinctive in the market. 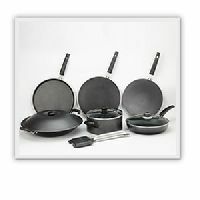 Anna Aluminium has a great reputation for rightly combining exceptional craftsmanship and cutting-edge innovations, thus creating a range of excellent non-stick as well as aluminium cookware products. Aesthetic appeal, modern style and appetizing effect are the highlights of our Hard Anodized Tawa, which is why it is extensively in demand. 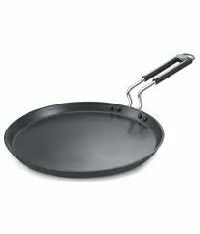 The wide assortment of our Hard Anodized Tawa includes Hard Anodized Concave Tawa and Hard Anodized Dosa Tawa. They stand out of the rest on counts of quality, reliability and performance. 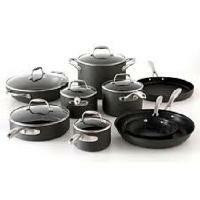 One can obtain them from us at nominal prices. 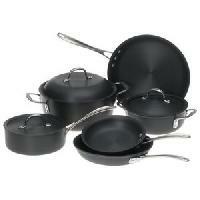 We are offering hard anodized cookware. 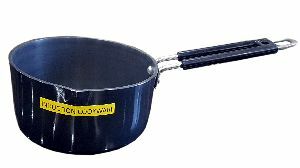 Dailyware provides kitchen cookware products like hard anodized cookware, frypan, saute pan, sauce pan and many kitchen cookware items. Dailyware products undergo the most stringent quality tests and are designed for better utility and performance. To maintain the high-quality standards, we follow strict quality standards throughout. 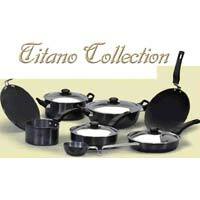 Established in Mumbai(India), we are well-known name offering comprehensive range of products. 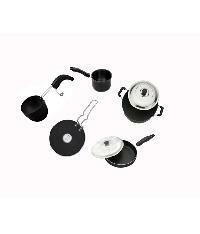 We have kitchenwares like pawali and other utensil too. 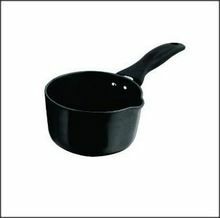 Our pans, kadhai, etc are also anodized. All the tableware ranges are available with us. 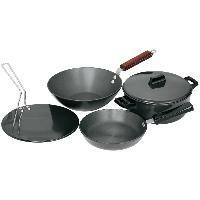 Hard anodized frying pans are available too. 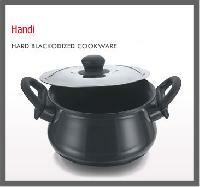 We are offering hard anodized handi. 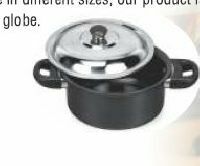 Aluminium hard anodized handi with s.s lid. Sizes : 11inch, 13inch, 15inch. 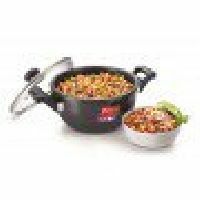 Kishco is one of the leading manufacturer and supplier quality hard anodise cookware from india. 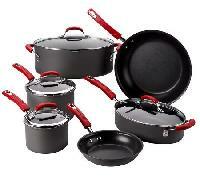 We offer a diverse range of heavy gauge and Hard Anodized Cookware which is available in different thickness & volume capacity. 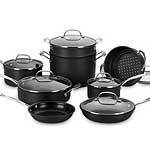 These are developed & design using excellent quality raw material. 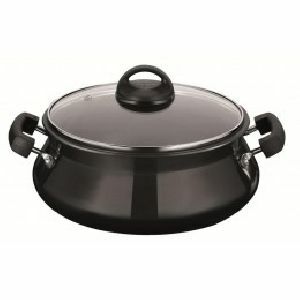 The retro and sleek look of our cookware is highly preferred by our clients. 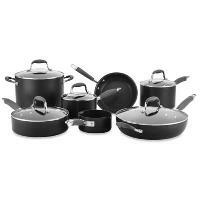 Our gamut of cookware is suitable for quick and convenient cooking.